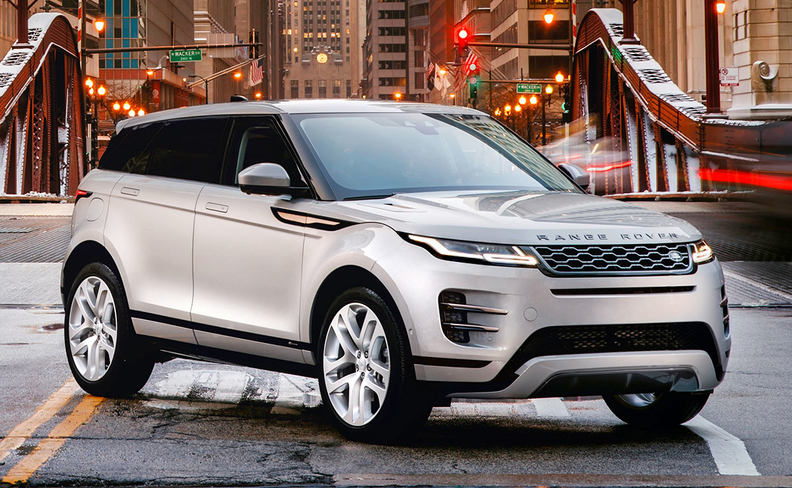 The second-generation Range Rover Evoque, previewed last week in Chicago, goes on sale in a few weeks in North America with mild styling changes. Land Rover officials said North America will get six models. The base Evoque S will start at $43,645, while the range-topping HSE R-Dynamic plug-in hybrid will start at $56,795. A limited-production First Edition will start at $57,845. Prices include shipping. For North America, all Evoques are powered by a gasoline 2.0-liter Ingenium turbo four-cylinder engine rated at 246 hp or 296 hp. Hybrids add a traction motor as part of a 48-volt hybrid system.